As a national first-class conductor of China, conductor Pang Ka Pang is acknowledged as one of the 10 most influential cultural figures by Chinese media. Pang has conducted concerts on tours to countries in North America, Europe and Asia, and served for 12 years as the conductor of the Chinese New Year Symphony Concert in the Golden Hall of Vienna. He currently holds the posts of Music Director and Principal Conductor of the Macao Chinese Orchestra as well as Artistic Director and Principal Conductor of a number of music ensembles, among which China Opera and Dance-Drama Theatre, China Broadcasting Chinese Orchestra, China Oriental Symphony Orchestra and Oriental Chinese Orchestra. 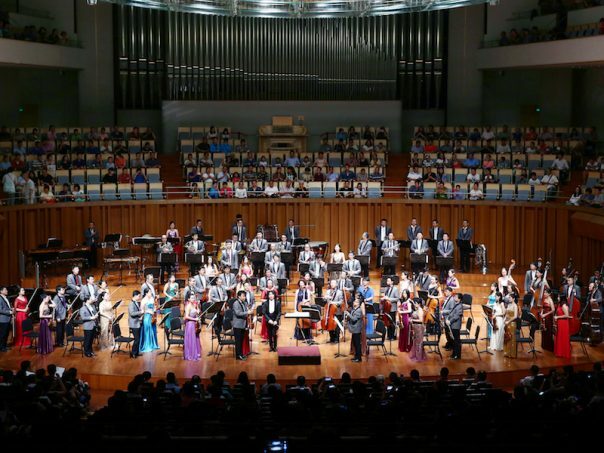 In addition, Pang is a permanent guest conductor of National Symphony Orchestra of Ukraine, Mozart Symphony Orchestra of Austria, and Pusan Philharmonic Orchestra of Korea. The 80-piece CBFSO will perform with special guest soloists from within the local music community, including the 100-member local community choral group, the Vancouver Folk Song and Dance Troupe.